Rav Melamed begins his discussion on the mitzvah of learning Torah with some mystical statements about its importance and function which are certainly at odds with the rationalist perspective. However, as one continues, one sees that in practice, his approach plays out in a very rationalist way. Rav Melamed discusses the value of secular fields of knowledge. He notes that they are not only important in a practical sense, but that they also possess innate value, which is why one pronounces a beracha upon seeing a non-Jewish great scientist. Rav Melamed further argues that there is no sin of bittul Torah involved in studying such science, because it is also part of Divine wisdom and thus also a form of Torah, albeit of a lesser level. Next, Rav Melamed discusses the crisis that modernity brought to the Jewish People, and the different approaches towards secular knowledge - the Torah im derech eretz approach of Rav Hirsch, and the Torah-only approach of others. While, he says, it is hard to say which was more successful, he personally advocates for an approach that includes secular knowledge. 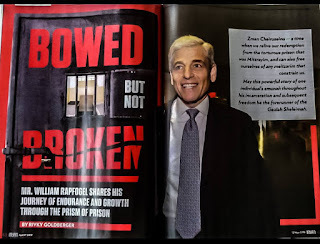 He views this as part of appreciating God's greatness, being a kiddush Hashem to the rest of the world, and enabling people to obtain professional careers which are honorable and which enable one to provide for one's family. 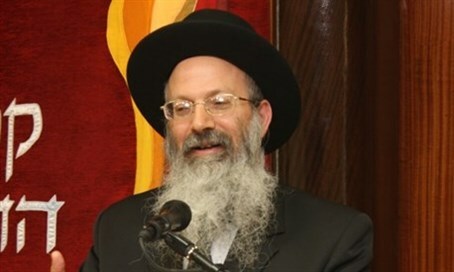 Thus, for all Rav Melamed's opening statements about the mystical significance of Torah study, the bottom line is that, unlike Rav Chaim of Volozhin, and in line with the classical authorities, Rav Melamed does not rate Torah study as contributing to the community such that it deserves communal support. Only teaching Torah, and training towards that, is a service to the community. Rav Hutner (in his essays on shavuos)asks: there is a bracha for seeing a talmid chacham and another bracha for seeing chachmei umos haolam. what bracha does one say when they see a JEWISH expert in the chachma of umos haolum (such as einstein)? He answers - nothing (and so is inffered in the language of the gemara in brachos that brings these brachos). because it is a tragedy that a jewish person that had such great potential to become a talmid chacham would instead use it to become a scientist. That is a misrepresentation of the reason Rav Hutner gives. He does not use the term "tragedy" or anything like it. And it is not Shavuos, it is Chanuka, ma'amar 9. After reading Prof Marc Shapiro's biography of Rav Yehiel Yaakov Weinberg, I finally came to realize that for many people, the true essence of Am Israel is the small group of Talmudic scholars, and the yeshiva students. It is this group that must be preserved as is, without change, with the maximum demands on them, at all costs, even at the expense of alienating everyone else, even to the point of driving them out of mitzvah observance entirely. That is why I have come to the conclusion that it is IMPOSSIBLE to reform the Haredi world. Its leaders believe that this elite group must be preserved in its purest form, and if unfortunately many fall by the wayside, this is the price that must be paid. Thus, there is no chance to reform the Haredi system from inside. There is no future for a moderate Haredi movement. This does not mean to say that there aren't many Haredim, who on an individual basis, have moderate views and are flexible, but they CAN NOT take an official, public stand this way. That is why we have seen here and other places plenty of anonymous Haredim who are bitterly critical of the system, yet they refuse to identify themselves. Why? Because "no one will marry their children". It is more important for them to remain "part of the system" as it is, than speak out openly in order to try to reform it. Therefore, an observant Jew who strongly feels that secular education is important, serving the Israeli Jewish community in the IDF or national service is important, feels that developing his or her talents in other directions than full-time Torah study will have to simply leave that system. Fortunately, there have been great leaders who have stuck out their necks, such as Rav Kook, Rav Soloveitchik, Rav Herzog, Rav Neriah and many others who were willing to absorb the abuse that was thrown at them to give us options of devoting ourselves to Torah, but doing these other things as well. Rav Melamed is one of those who is keeping the ball rolling. Is the beracha for a great scientist only for a non-Jew? On this topic, I and many others have reliably heard that Rav Shlomo Zalman Auerbach took extensive private lessons in Math and Physics before he wrote his treatise on electricity in halachah. Proof that secular knowledge can (and must!) be attained even by Gedolim who ostensibly limited themselves to "b'dalet amos of halachah". The brachot are שחלק מחכמתו ליראיו and שנתן מחכמתו לבשר ודם. So a Jewish scholar of secular matters (although, as per this bracha, nothing is truly "secular") would get שנתן מחכמתו ליראיו. It would be hard to imagine a circumstance where you would say שחלק מחכמתו לבשר ודם, but I suppose it's theoretically possible. A tricker question would be a Jewish politician who holds power in a non-Jewish country. As noted earlier, Rav Hutner infers from the fact that the Gemara uses the term חכם מחכמי האומות and not חכם בחכמת האומות that no bracha is recited upon seeing a Jew who is a scholar in secular domains. Does anyone know of an article which analyzes the development of the idea of learning Torah for learning's sake (including anything said by anyone in the Gemara, medicines, stories etc.) and it's evolution from basically nothing in Chumash to the present widely-accepted idea that this is what most people should either be doing all the time or at least part of the time? The headmaster of my son's primary school, said that all the subjects in the school were limudei kodesh, including science, maths, etc. I like that opinion. You can learn as much as you feel necessary, but don't expect public support if it's only for your won benefit. Very good. TSBP was never meant to be another Torah Shebichtav. But it is now. The results are often less than desirable. Is Rabbi Chaim Volizhiner's book Nefesh Hachayim what you seek? Or Rabbi Norman Lamm's book Torah Lishma? People correct me if I'm wrong. Percentage wise, it is a very small percentage of orthodox jews in kollel. Do the maths. Chasidim don't believe in it, after a few years all but the very talented go and work. That knocks off a large chunk. Than you have those that are studying in the evening, those that are studying full time, those that are teaching. Some work part time. ...and how many are you left with already as a proportion of the total? Well, here are some real numbers: In 2016 there were 75,000 married yeshiva students (i.e., getting State support) in Israel. 51.7% of charedi men worked, meaning 48.35 didn't. 72.8% of charedi women worked, which is kind of an interesting proportion for a community that goes on and on about "tzniut" and "kol kavod" and tradition. For those who prefer statistics to maths :-J the Central Bureau of Statistics in Israel published in 2014 a detailed survey of Haredi participation in the workforce http://www.cbs.gov.il/www/publications/pw84.pdf. In 2010, the latest year for which figures appear, just under one third of Haredi males aged fifteen and over were active in the workforce against two thirds of the remainder of the Jewish population. The reason given for non-participation in the overwhelmimg majority of cases was learning (לימודים). You may not not be aware, but orthodox Jews do exist outside Israel. Take them into account and the percentage drops significantly. And for various reasons many in Israel that work still take support. Rightly or wrongly.Or claim to still be learning. And finally, what ages do those statistics take into account?